The decision of when or when not to use a waste or by-product material that is recovered for use in a pavement application, assuming that the material is capable of adequately performing in the proposed application, will in most cases depend on the cost of using the recovered material versus the cost of using a conventional material. As a result, recovered materials must be cost- competitive with conventional materials for their utilization to be practical. An exception to this rule occurs when such materials are mandated for use by legislation. In this case, the recovered material need not be cost-competitive with conventional materials, and the only competition is derived from alternate sources of the material. While in the former case (nonmandated material), the competitive nature of the market process ensures that pavement costs using a recovered material will be equal to or less than costs associated with the use of conventional materials, in the latter case (mandated use), recovered material use can result in significant increases in pavement costs. In either case, a prospective user of a recovered material should obtain sufficient data to project the cost of using the proposed secondary material relative to the cost of conventional or other competitive materials. The cost of the material. The cost of installation when using the material. The life-cycle cost of the pavement when using the material. Each of the above costs could be relevant when examining the potential cost-benefits of using a recovered material. The specific situations where material, installation, and life-cycle costs would be relevant, and the components or elements that are needed to estimate these costs, are presented in the following sections. This cost is the value of the unprocessed material and is determined by the waste or by-product material generator or producer. As far as the material generator is concerned, the value of the material could be positive or negative. 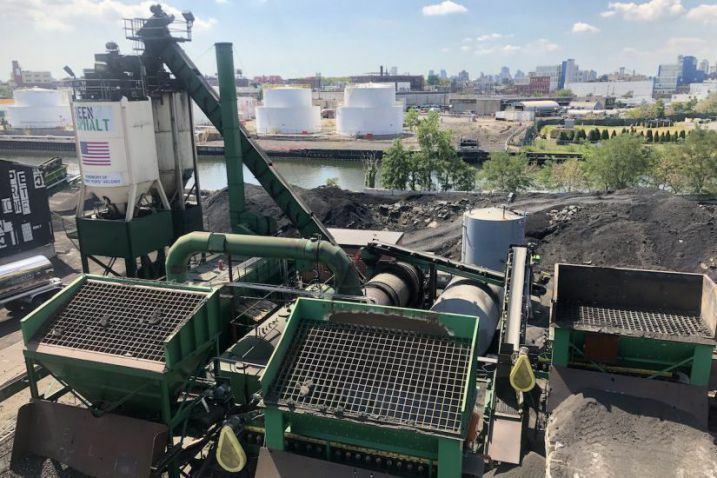 For example, if a recovered material generator must pay a $30 per ton fee for disposing of the material, then the material has a negative value of $30 per ton. For many waste and by-product materials, some level of processing (screening, crushing, drying, etc.) may be required to convert the raw material into a product that is suitable for use in construction. There is an incremental cost for the required equipment and labor needed for such processing. Most construction materials are not used immediately or are incorporated into a construction product. 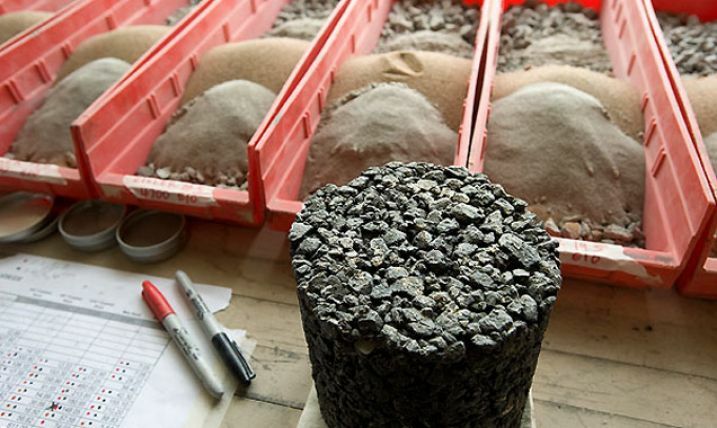 Instead the material, even after processing, is usually stored or stockpiled for a period of time until it can be either delivered to a project site or used to make a finished product (such as concrete or asphalt). Associated site costs, and equipment and labor costs required to pick up, transport, and place the material into a stockpile, is an additional element in the total delivered price of the material. After stockpiling, the material must be loaded into a transport vehicle for delivery, either to a project site or a production facility. There is also an incremental cost associated with the necessary labor and equipment required to load the material. Transportation costs must always be considered as part of the overall cost of a material. Depending on the distance the material or product has to be transported and the type of haul vehicle involved, the cost of transportation may constitute a significant percentage of the overall cost of a material or product, and in many cases is the determining factor as to whether it is practical to use the material. Most deliveries of recovered materials involve truck or rail hauling. A generator or producer of a waste or by-product material can profit by the sale of the material in one of two ways. He or she may add a profit to the cost of delivering the material to a prospective user, or he or she may discount the price of the raw material (if it has a negative value). For example, a generator with a material avoided disposal cost or material price (PRM) of $30 per ton could give the material away and still accrue a $30 per ton benefit. A prospective user may be more interested in the total cost of installation than simply the delivered price of the material. This would be the case when the cost of design, construction, and testing or inspection when using the recovered material differs from the cost of these items when using a conventional material. The cost of installation includes the delivered material price (CDP), as well as the additional elements, outlined below. TRP = Cost of testing and inspection for the proposed application. For any highway construction application, there is a certain amount of time and effort involved in the design of the application, be it an embankment, base or subbase, pavement, or some form of appurtenance. In some cases, the time and effort required for design, when using recovered materials (CDR)where design criteria may not be readily available, can be significantly greater than the effort needed to design conventional pavement applications. The construction cost when using a recovered material could differ from the cost of conventional materials if special procedures (e.g., preparation, compaction, etc.) are required when the recovered material is used. For certain applications, the use of a recovered material could involve additional testing and inspection work. Use of a nonconventional material may require a greater degree of testing and field inspection requirements compared with that ordinarily required for the same application using a conventional material. The cost of the material itself and the cost of installation provide a prospective user with a comparative analysis of the cost of using a waste and by-product material versus a conventional material. If the introduction of a recovered material into a pavement application, however, alters the maintenance requirements or expected service life of the pavement, then a life-cycle cost analysis is necessary to provide a comparative assessment of the cost of using the recovered material versus a conventional material. CAM = Annual maintenance cost. The annual effective cost represents the sum of the annual amortized installation cost, over the life of the product, plus the annual maintenance cost, and represents the total annual cost of the pavement application. The capital recovery factor (given a fixed interest rate and a product life) is a constant that, when multiplied by the installation cost, amortizes the initial installation cost over the life of the product, resulting in an effective annual installation cost. The CRF is available in standard economic handbooks or on many spreadsheet programs or can be calculated using the following equation: CRF = (i (1 + i)n)/((1 + i)n -1)). The annual maintenance cost is determined by estimating, based on past experiences, the expected annual service costs associated with minor repairs that would be required over the life of the product. To compare the life-cycle cost of an application when using a recovered material to a similar application with a conventional material requires that time periods be compared on an equivalent basis. A comprehensive analysis may require the introduction of pavement rehabilitation or new installation costs to achieve a suitable comparative analysis over equivalent time periods. In many cases, due to the lack of long-term historical data regarding the expected service life and maintenance requirements associated with pavements containing secondary materials, life-cycle cost estimates are the most difficult of all costs to project.